You are here: Home / Online Marketing / Citizens of the Internet Interview Series- How artists can thrive off their passion. 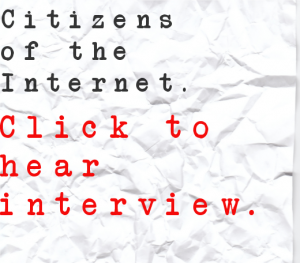 Citizens of the Internet Interview Series- How artists can thrive off their passion. In the first of this new interview series, I talk to Melissa Dinwiddie of The Thriving Artists Project and explore how she’s teaching artists how to start creating multiple income streams off their art. It may or may not come as a surprise but the first step to becoming a “thriving” artist is to actually switch to an artist’s mindset while approaching your art as a business. What amazes me about the starving artist’s mindset is that it can be applied to so many different industries. Freelancers have a tendency to undervalue their services because they feel like they have to pay their dues. Many think inside the box and are not creating multiple income streams using their talents. Another thing that amazes me is the parallels that can be drawn between bloggers and artists, primarily that both are “waiting to be discovered”. Melissa is doing what she can to help break artists of this mindset and encourage artists to stop waiting to be discovered and to start creating multiple income streams and look their art as a business with an artist’s mindset. This was a very valuable interview, and I’m so happy to have done it. I encourage you to click the image above and listen to the many valuable insights given to us by Melissa. I am a new fan! I discovered you on Margie Clayman’s blog. I am trying to learn how to use the Facebook news feed to promote my blog gagasgarden. What is the best publication you have to learn about FB news feed? So glad you asked! I actually just published all of my News Feed Hacks which will show you how to get the upper hand in the News Feed.